The federal government founded the Social Security program during the Great Depression. The program provides money to people after they’ve retired. A tax that everyone pays while they are working funds the program. Today’s workers fund payments for today’s retirees. Tomorrow’s workers will eventually pay for the current generation of workers. But will Social Security run out of money at any point in the future? For years, there have been rumors and questions. The short answer is that it is highly unlikely that the program will ever run out of money. Before explaining why Social Security is unlikely to die out, it helps to know a bit about how the program came to be. President Franklin Delano Roosevelt signed the Social Security Act into law in 1935. That followed generations of Americans fighting for a social insurance program that could help support American workers once they reached retirement age. Before that, there was no social welfare program designed to support people once they reached the age where it became difficult to work. 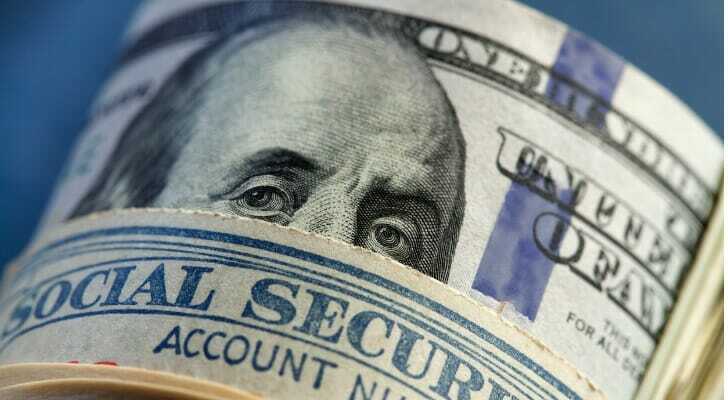 The government first collected Social Security taxes in 1937 and payments began in 1940. The Social Security Administration, an independent government agency based in Maryland, administers the program. The government has created other programs throughout the years, including Social Security Disability Insurance and Supplemental Social Income. A dedicated tax on earnings pays for Social Security. The total is 12.40%, 6.20% of which is paid by the worker and 6.20% of which is paid by the company. There is a cap on taxable income of $132,900 for 2019, meaning that income above that level is not subject to Social Security taxes. The money pays retirement benefits for retirees. Workers earn “work credits” based on total income earned during their career. These credits determine a person’s total retirement benefit. 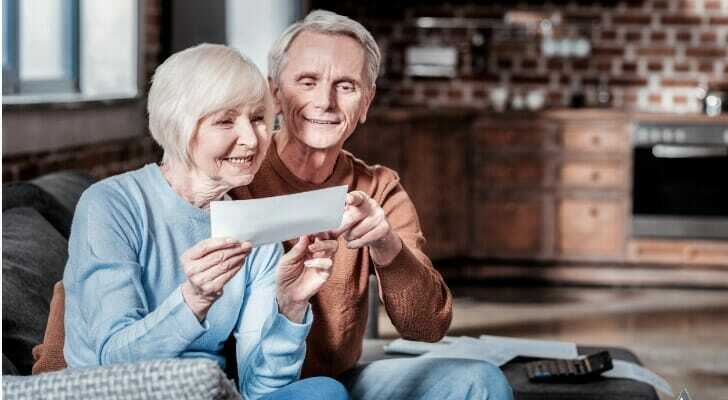 In retirement, a check arrives monthly. Some people are also eligible for survivor benefits when their spouse dies. Social Security has become a hot button political topic in the past few decades. Some even call it the “third rail” of American politics, implying that to dare touch the program means certain political death. One of the biggest reasons it’s such a big deal is that some people think the money to fund the program is going to run out and leave tomorrow’s seniors, who are paying into the system now, out in the cold. The Social Security trust funds going broke. It is true that the Social Security trust funds, where the money raised by Social Security taxes is invested in non-marketable securities, is projected to run out of funds by around 2034. The tax will still raise money each month, though. Projections show that even if nothing is done about the trust funds, the program will cover around 79% of its obligations through 2090. That is a funding issue to address. It doesn’t mean, though, that the program will go bankrupt. Undocumented immigrants taking benefits. This is simply not true. Undocumented immigrants cannot claim Social Security benefits, though they and their employers do often pay into the system. Demographic changes. Past generations had more children than we do today. People over 65 make up 12% of the population today. In 2080, they could make up 23% of the population. Also contributing to the larger elderly population is modern medicine, which allows people to live much longer than they used to. This means they are alive past the retirement age for more years and thus are spending more years collecting checks. While this also could contribute to a funding crunch, there are proposals to solve it, including advancing the retirement age. It is unlikely this will lead to a full collapse of the Social Security program. 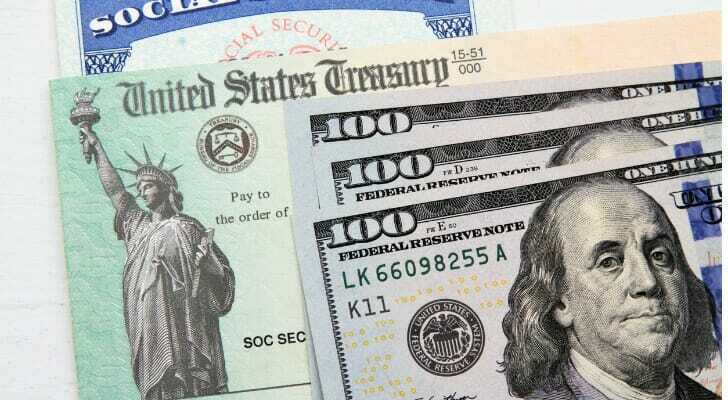 While Social Security is unlikely to run out, that doesn’t mean the government won’t need to take some steps to protect the security of the program in the coming years. Steps could include raising the age at which you can begin to receive payments or increasing the payroll tax that pays for Social Security. It isn’t a stretch to say that Social Security is a program with some issues. Still, it is not in imminent danger of completely running out of money. While some changes will probably have to happen to make sure it is completely safe, young people who fear they will not be getting any payments from Uncle Sam in retirement are probably worrying a bit too much. Social Security won’t be enough to live on in retirement, so you’ll need to save on your own as well. SmartAsset’s financial advisor matching service will help you find someone to help. You answer a few questions and we match you with up to three advisors in your area, all fully vetted and free of disclosures. You talk to each advisor and make a decision about whether you want to move forward with one of them. A 401(k) plan is a great way to to save for your retirement. If you already have one, see how much it could be worth when you retire with our 401(k) calculator. The post Will Social Security Run Out? appeared first on SmartAsset Blog.